We are hearing more and more about green cleaners nowadays and for good reason. There’s some startling statistics about conventional cleaners and cancer. I had a look at the Health and Harmony website and wanted to share these statistics with you…they really opened my eyes! Stay at home mom’s have a 54% higher risk of dying of cancer just because of the toxic cleaners in the home. Bleach is categorized s a pesticide by our government. How many of us would even think of washing our children’s clothes in a pesticide? Yet, many doing it everyday unknowingly. 9 out of 10 household poisonings are caused by household cleaners. 1 out of 3 women are predicted to be diagnosed with cancer in 2009 alone. 1 out of 2 men are predicted to be diagnosed with cancer in 2009 alone. Pretty shocking isn’t it? After reading these, it makes me want to go through my house and through out all the chemicals. I have slowly been switching to green cleaning supplies over the years. Most times they do just as a good of job as the regular cleaners. 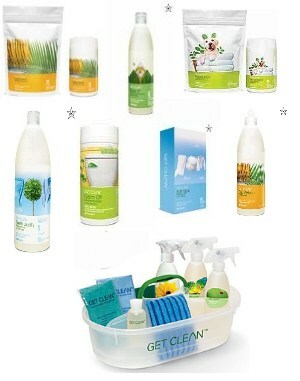 If you go to the Health and Harmony website you will find a great selection of green cleaning products. I really like that they sell Get Started Kits so that you can get rid of all your old cleansers and start fresh. 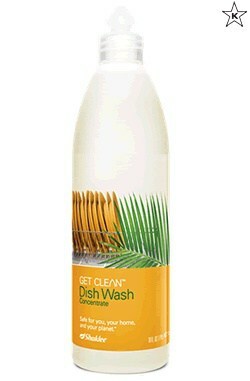 I received a bottle of Get Clean Hand Dish Wash to try out and see how I liked it. It’s a non-toxic and hypoallergenic and has a nice fresh lemon scent. Plus, it’s biodegradable and has no phosphates. I do all my dishes by hand in our new kitchen sink. I wish we had a dishwasher, but that will come in time! I liked that you only need to use a little bit of the dish wash to make your water nice and sudsy and perfect for washing dishes. My hands felt very soft afterwards. The best part though is that it is tough on stuck on foods and grease. I didn’t even have to soak the stuck on foods or get out my steel wool scrubbing pad. It’s a gentle cleanser, but so effective and does its job well! It costs $8.10 for a 16 oz bottle. Since it is concentrated, you don’t need to use much so it will last you awhile. 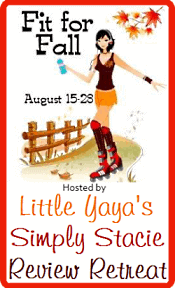 Check out Health and Harmony’s other cleaning products. They also have a selection of anti-aging products, natural supplements, baby and children wellness, weight management and sports care products.